Irene is a multidisciplinary performing artist, educator and choreographer. While originally from Italy she has spent the last 18 years traveling and living in Europe, India and China. Her formal training is in dance, classical music (flute and voice) and theatre. Her artistic path has been influenced by many different cultures and is deeply intertwined with her self-inquiry, spiritual practices and philosophy. Her dance practice is mainly inspired by Contact Improvisation, Instant Composition Techniques, Experiential Anatomy, Body-Mind Centering, Body Work, Yoga, Meditation and Singing Practices. The main theme of her movement research is improvisation. Through her practice she aims for a heightened state of presence, increased awareness in the body, effortless motion, and a broadening of the technical and investigative skills of the mover. She has a particular interest in intuitive learning processes, empowering individuals, and promoting independent research and artistic projects. 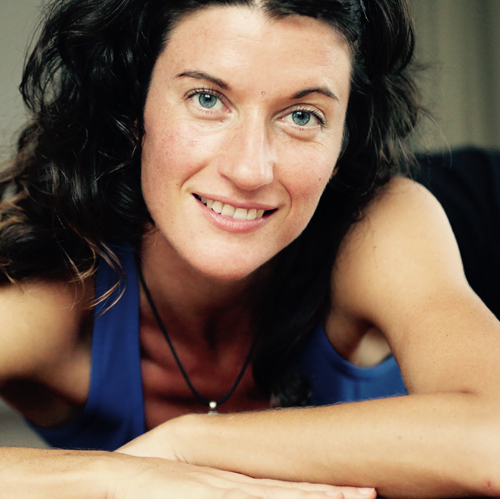 She explores inner and outer ecology – believing that a healthy and creative relationship to the body can generate awareness, trust and authenticity in our lives as individuals and as a collective. For the last thirteen years she has traveled as an independent freelancer offering dance trainings and professional programs in universities, schools, cultural institutes and private associations throughout Europe and Asia. Irene is deeply engaged in the research and spreading of Contact & Improvisation by teaching, organizing events and promoting the growth of new CI communities, especially in China and India. Since 2009 she has been involved with the Goa Contact Improvisation festival, particularly engaged in Dance Exchange Program for Indian professional dancers. She performs and directs dance performances combining movement, live music and text. Her choreographies are used in theaters, site specific performances, galleries, dance festivals, video projects and fashion shows. 9 Company (Beijing), HouYing Dance Company (Beijing) Danceworx Company (Delhi/Mumbai) and Terence Lewis Dance Company (Mumbai), Auroville ( India ). She participates as teacher, performer and musician in numerous contact improvisation, contemporary dance and yoga festivals all over the world: Touch (Beijing), Freiburg, Vienna, Poland, Ester Impro, CmC, Ibiza, NIM, Glarisegg, Goa, Malmö, Italy CI festivals; Beijing Universities Dance festival, Avayava (Pune), Fico Journey (Slovenia), Nataraj Dance Festival, Shakti festival (Delhi), No Mind, Yoda and Space of Love (Sweden), Mandala (Moscow).